Celebrate Overwatch’s first year through the lens of fan art. 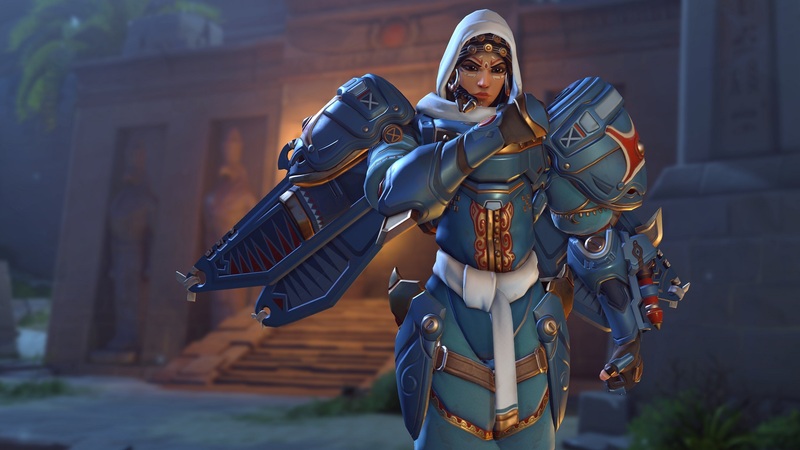 Overwatch’s cast of characters resonates with fans—an emphasis on diversity and inclusion sets the Blizzard title apart from similar games. Though Overwatch players connect with the game on a competitive level, Overwatch also succeeds because of the intimacy fans feel for the game’s heroes. Nowhere else is this as deeply felt than in Overwatch’s plentiful fan art. DeviantArt, in particular, is a major home for this art. In collaboration with Blizzard, DeviantArt is hosting an Overwatch Anniversary celebration, showcasing the art fans have created over the past year. Even in the moments where fans are disappointed with story development or new skins, the community has come to express itself through art—and that’s really special. Leading up to Overwatch’s launch DeviantArt hosted the 21 Days of Overwatch event, where artists created their own unique interpretations of the game’s heroes. From there, DeviantArt highlights each of Overwatch’s major events: Ana’s introduction, Halloween Terror, Sombra’s reveal, Winter Wonderland, Year of the Rooster, Orisa’s entry, and Overwatch Uprising. Each event has an exclusive new portrait to go with each new hero, commissioned by DeviantArt to celebrate the events. Each special moment in Overwatch’s history is highlight by its fan art, and that’ll likely continue. New skins and events inspire more creativity from fans—as long as Blizzard brings in more content, fans will continue to create. It’s been a good year to be an Overwatch fan, and we can only hope next year will go just as swimmingly. Visit the Overwatch Anniversary celebration on DeviantArt for more fan art.